Rob The Drummer – Learn And Play Drums Today! Robert Gottfried, better known to thousands of kids as “ROB THE DRUMMER,” is a nationally recognized Children’s Motivational “Edu-tainment” Character who has appeared on Sesame Street, The Nickelodeon Network, MTV, Entertainment Tonight, Romper Room, Kids World, P.M. Magazine, Connecticut TV Channels 3, 8, 24, 30, 57, 61 and many other National and cable television and radio programs. As a Percussionist/ Educational Motivator for the Connecticut Commission on the Arts, Rob’s musical concerts educate and guide audiences through a dynamic, unique approach . . . the DRUMS . . . a universal and primal medium that transcends all language and cultural barriers. This “bare foot” powerful percussionist has been described as a “one-man entertainment wizard!”….and a role-model beacon for today’s Youth. His playing and Tours have taken him from Carnegie Hall to teenage drug-offender prisons in Russia! PBS Television Network, through its affiliate CPTV in Hartford, CT has acclaimed the impact of Rob’s 25 years of dedication, talent and guidance worthy of a LIFE DOCUMENTARY, featuring testimonials from Wynton Marsalis and First Lady of Connecticut, Patty Rowland. Rob was the honored Guest Artist & Percussion Coordinator for FORTUNE Magazine’s GLOBAL FORUM 2002 Power of Leadership Seminar in Washington, DC., entertaining the highest of dignitaries …Secretary of Defense Donald Rumsfeld, Secretary of State Colin Powell, Rudolph Guiliani and many others. The outgrowth of his dynamic concert messages for children prompted his third Presidential Invitation to the White House for the 2002 Easter Egg Roll. Rob recently returned from a 20-Show Tour, sponsored by PFIZER Global and Esperion Therapeutics, a dynamic corporate effort to support the Arts and enhance Teenage Health Prevention. A return Tour to Michigan is scheduled for March of 2003. He has been the honored Keynote Speaker/Performer for the World Scholar-Athlete Games – University of RI, the Maine Health Promotion Wellness Conference – Sugarloaf/USA, the TREND 2000 National Conference, St.Louis, MO (National Council on Alcoholism and Anti-Drug Abuse), and the KICK BUTTS DAY 4-Day Concert Tour & Rally – WY 2001. On Flag Day 2002, Rob performed with the RADIO CITY ROCKETTES for a Pre-Christmas Clinic in New York City, directed by Jeff Ernstoff, Special Projects Coordinator. In the early 80’s, Rob Gottfried’s career crystallized on Sesame Street…..with a resounding send-off from Big Bird!! In 1986, he rallied as an Anti-Substance Abuse advocate for Nancy Reagan’s “Pros for Kids – Just Say NO!” Campaign in San Francisco. Sixteen years later, PBS acclaimed his continued dedication to the fields of Percussion and Anti-Substance Abuse with a Life Documentary. The ROB THE DRUMMER concert venue has dramatically touched the hearts of more than 100,000 children, teenagers and adults. Internationally, Rob has twice toured Russia, Belgium and Japan…the latter for the Yamaha Music Foundation. Voted as one of the top five jazz/rock drummers in the United States, Rob’s ultimate dream is to become an International Ambassador for Children. Through these days of uncertainty and unrest, ROB THE DRUMMER has come forth as a glimpse of hope for children. . . making them FEEL a perceptual change….Naturally…..and use their OWN Power to change that Perception….a 25-year Anti-Substance Abuse advocate for kids . . . a role-model and mentor! It’s about time…..ALL about time!! Rob’s father, Murry (pictured here in 1947), was a key inspiration for both Rob’s music and his message. A highly regarded alto saxophonist, Murry encouraged Rob to pursue his music. While a college sophomore, Rob witnessed the death of his father due to lung cancer at age 47, a victim of a life-long addiction to cigarettes. Rob returned to school to pursue his triple major in psychology, philosophy and music. And while many of Rob’s friends turned to drugs to seek a higher consciousness or to escape the pressures of the late 60’s, Rob resolved to pursue perceptual change through meditation, performance arts, and athletics. He refused to allow any substance rule him. Following college, Rob pursued a music career. He toured nationally with the musical Oh, Calcutta! (keeping his clothes on in the orchestra pit!) and recorded with organist Larry Young (keyboard player with Miles Davis, John Coltrane and Jimi Hendrix and member of the Tony Williams Lifetime featuring John McLaughlin). He also gained a reputation as one of the East Coast’s top drummers, holding the drum chair in several bands including the award-winning Great Train Robbery horn band. At age 25, Rob first had an opportunity to share his philosophy with kids when a friend asked him to talk to his junior high class about drums. As related in Modern Drummer magazine, Rob says, “As soon as I started to play, I saw that I had the attention of even the wildest kid. I would later understand that it was because drums are primal and non-verbal. Rob has been connecting with audiences ever since. He developed his ROB THE DRUMMER character to become a nationally recognized performer promoting self-esteem building concepts on programs such as Sesame Street, Kid’s World, Romper Room, Evening P.M. Magazine, Drums Player World and Nickelodeon’s Total Panic. He has also appeared on MTV and Entertainment Tonight. Rob continues to be an in-demand drummer and educator. He generates the rhythm regularly with guitarist Jeff Pevar and Friends and gives private lessons to more than 40 drum students, drawn largely from the New England area, Trinity College and the Loomis-Chaffee preparatory schools. Rob brings his pro arts, pro-sports anti-substance abuse program to an average of 50 venues annually and earns the cheers and accolades of the audiences he touches. 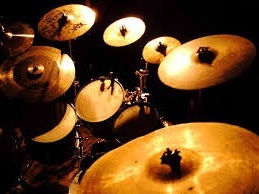 ChicagoThe Connecticut Commission on the Arts has chosen ROB THE DRUMMER & FRIENDS to be listed in their prestigious DIRECTORY OF PERFORMING ARTISTS AND MASTER TEACHING ARTISTS. 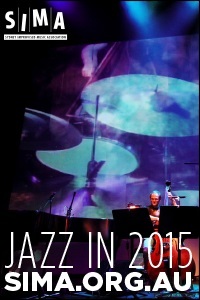 Rob will be performing with close associates Jim McCormick and Ray Hutchinson. All artists listed in the directory have been approved and evaluated by a panel of Commission professionals for artistic quality and performance. The ARTS PRESENTATION GRANTS is a companion granting program, designed by the Commission to increase opportunities for Connecticut Non-Profit organizations to present events featuring any directory member. Connecticut nonprofit organizations, schools, and other town-sponsored organizations are eligible to apply for grants. Organizations may apply for grants up to $1,000. 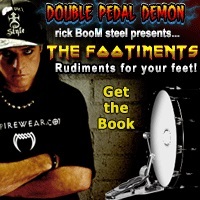 This provides a great opportunity to bring ROB THE DRUMMER to your community!